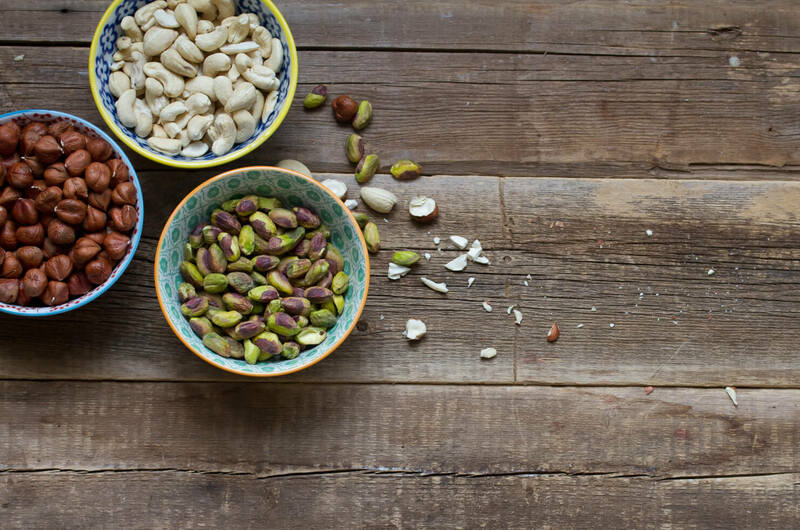 We’ve all been there: seemingly endless hours shelling pistachios, painstakingly fishing tiny pieces of eggshell out of a frying pan, destroying a clove of garlic while you attempt to wrestle it out of its skin. “THERE’S GOT TO BE A BETTER WAY!” you yell, swiping the cutting board to the floor and running out the door to the nearest drive-thru because you JUST CAN’T TAKE IT ANYMORE. An overreaction? Probably. Because there is a better way to tackle many of the kitchen conundrums we face. Isn’t it frustrating how there always seems to be a significant amount of juice leftover when you squeeze citrus by hand? Skip the complexity of an electric juicer AND get the most out of your lemons by cutting them widthwise and inserting a fork into the open side. Rotate the fork around a few times while you squeeze – pretend it’s the juicing mechanism of a juicer – and you’ll be pleasantly surprised with how much more you can extract. To avoid bruising fresh herbs, don’t run them under the faucet. Instead, just before you’re ready to use them, gently dunk them in a bowl of cold water, swish around to remove any dirt and place on a towel to dry. Pat gently if needed. Prevent your hands from becoming entirely coated in garlic - and ensure you remove every last bit of skin - by placing a whole bulb of garlic in a sealable glass jar and shaking vigorously for 20-30 seconds. Pour contents onto your workspace and remove each cleanly peeled clove. It’s like magic. To prevent tiny bits of garlic from sticking to your knife, coarsely slice through a clove, then sprinkle the blade with a pinch of salt. The garlic ‘juice’ will help the salt adhere, and the addition of salt creates a chemical reaction that allows the garlic to slide off easily. As an added bonus, it can help bring out the garlic’s flavor in the dish. Making garlic paste? Simply sprinkle the salt on top of the garlic before you mince. Forget tiny pieces of shell getting lost in your mixing bowl: crack your eggs on a flat surface (like the countertop) instead of the edge of a bowl to create a cleaner break. If pieces of shell do end up in your mix, wet a finger before gently retrieving it: the water creates a bit of friction to help separate the shell from the contents of the bowl. Built into every pistachio is a handy dandy pistachio opener: the shell. If you can get just one nut open, you can use its shell like a little lever to open all of its pistachio brethren. How did we not know about this sooner?! Sticky liquids like honey, molasses and maple syrup can be nearly impossible to measure accurately (and even more troublesome to clean up). To help these slide more easily from the measuring cup or measuring spoons, spray with cooking oil before measuring. If your recipe also calls for oil, you might also measure that oil first, then the sticky stuff to accomplish the same thing.